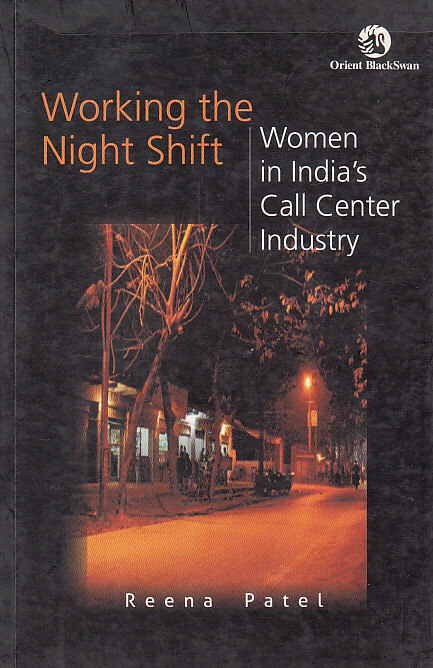 Working the Night Shift is the first in-depth study of the call center industry that is written from the point of view of women workers. It uncovers how call center employment affects their lives, mainly as it relates to the anxiety that Indian families and Indian society have towards women going out at night, earning a good salary, and being exposed to western culture. Categories: Gender, Orient BlackSwan, Publisher, Reference, Women's Studies. Tags: 9788125042655, gender equality, Gender studies, globalisation and women, Indian women, Reena Patel, women and work. Relatively high wages and the opportunity to be part of an upscale, globalized work environment draw many to the call center industry in India. At the same time, night shift employment presents women, in particular, with new challenges alongside the opportunities. This book explores how beliefs about what constitutes ‘women’s work’ are evolving in response to globalisation. Working the Night Shift is the first in-depth study of the call center industry that is written from the point of view of women workers. It uncovers how call center employment affects their lives, mainly as it relates to the anxiety that Indian families and Indian society have towards women going out at night, earning a good salary, and being exposed to western culture. This timely account illustrates the ironic and, at times, unsettling experiences of women who enter the spaces and places made accessible through call center work.